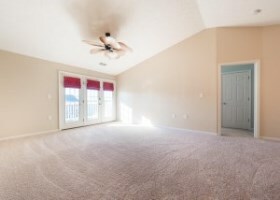 If you are selling your home for the first time, or you haven’t sold your home in a very long time, the selling process can seem overwhelming. Here are the 8 main steps to expect when selling your home. 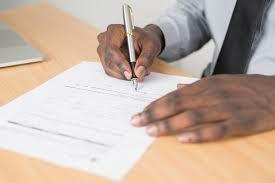 You will sign a listing contract with your agent, giving them the exclusive right to sell your home. 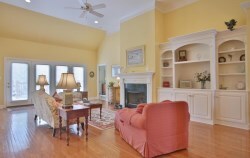 You and your agent will go over all of the details of your home. 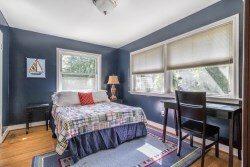 This will help your agent market your home in the best way possible. After going over details of the home, your agent will look at comps in the area, and together you will determine the best price to list your home. One thing to remember when selecting a listing price is, if the appraisal (see #6) comes out to be far less than what you sell for, the deal could fall through. So selecting a realistic price is going to help you in the long run. 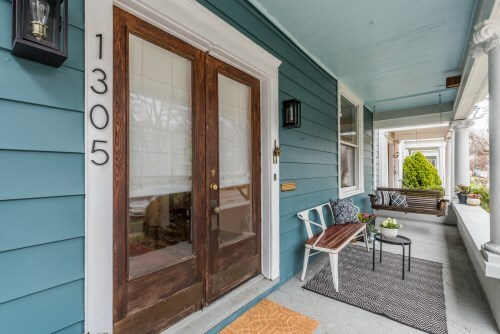 You will fill out a “Seller’s Disclosure.” This is a list of the conditions of your home, including any flaws or updates. Potential buyers will be able to look over this disclosure to have a better idea of any issues with the home, as well as selling points. First impressions are crucial in the online home marketplace. 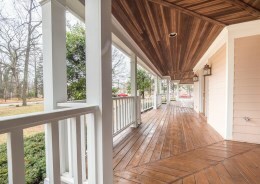 92% of home buyers are searching online, and the majority of them want to see pictures. 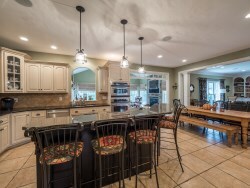 Homes sell 50% faster and closer to asking price when using professional HD photos. 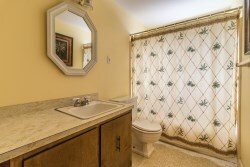 Your agent will tell you how to make your home “Photo ready”, to attract the most buyers. 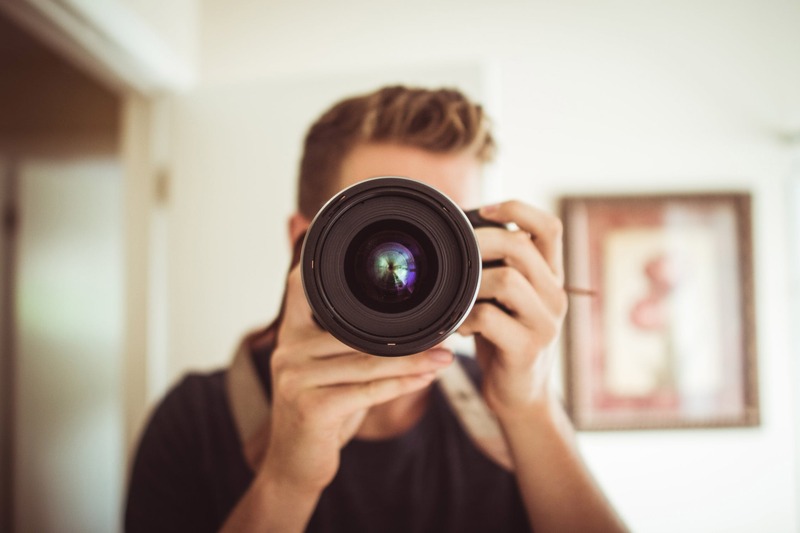 Your agent will hire a professional photographer to take pictures of your home, which will be used to advertise your listing online. A “For Sale” sign will be placed in your front yard. 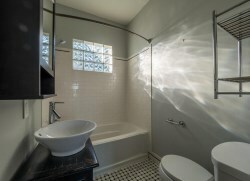 Your listing will be posted on MLS, Zillow.com, Realtor.com, and often on Facebook or other social media. At this point your agent will begin scheduling showings, so make sure to keep your house clean and organized at all times! If you have kids or pets, have a game plan for how to get everyone out of the house during showings. 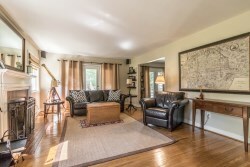 You and your agent may decide to host an Open House. This is usually on Sundays from 2-4pm. Your agent will be present during the Open House to answer any questions potential buyers have, and to further market your home. When you receive an offer (or multiple offers) your agent will help you carefully consider it and negotiate the best price. 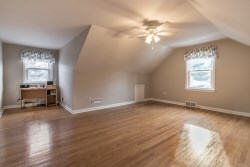 Shortly after you accept an offer, the buyers will schedule an inspection of the home. This usually takes place within 10 days of acceptance. 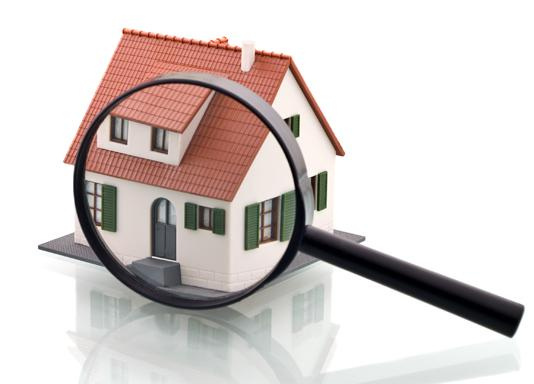 A certified inspector will go through every part of your home to make note of any damage or concerns. 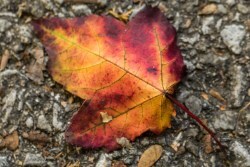 They will present this list to the buyers, at which time they will notify you of any repair requests. You have the option to negotiate which repairs you are willing to do, which could potentially lead to a change in the price or conditions of the sale. 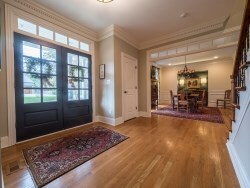 The buyer’s lender will hire a certified appraiser to determine the worth of your home. If it is determined to be worth far less than the purchase price, the buyers can further negotiate the price or conditions of the sale, or walk away from the deal. This is why it is so important to make sure you are not listing your home at a price that is drastically more than the true worth of your home. 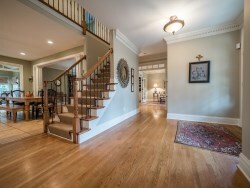 The buyers and their agent will walk through your home one last time. This is to make sure that the agreed upon repairs have been done, and that your home is in an acceptable condition. 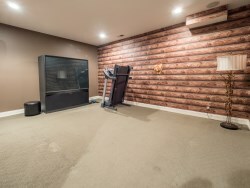 If you have removed pictures or anything else from the home that has led to holes in the wall or any other damage, you will want to fix it before the walk-through, to avoid any last minute problems. 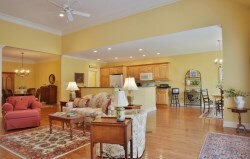 You will meet with your agent, the buyers and their agent, as well as a Title agent and lender. Here the final contracts will be signed and funds will be distributed. You will hand over the keys to the new owners. If you have been thinking about putting your home on the market, the time is NOW, wait no longer. 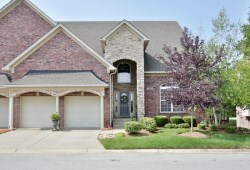 There are not many homes on the market in Real Estate Louisville, therefore inventory for prospective buyers is LOW. There are buyers out there looking and ready to buy just waiting for the the ONE! 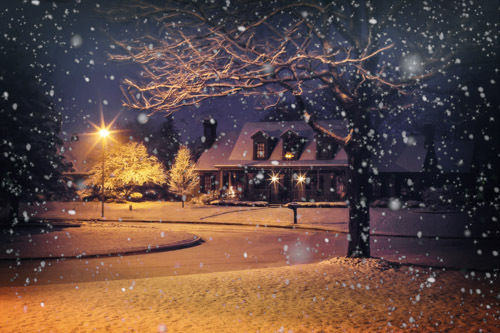 In typical fashion, many people like to wait until Spring to list their home. 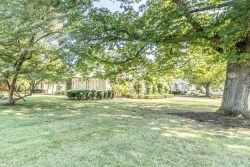 Now that The Kentucky Derby is over and weather is starting to warm up, we expect to see a large number of homes to hit the Real Estate Louisville market. Here at Family Realty, we are ready for the busy season to begin and what better way to kick off Mother's Day weekend then to host some Open Houses! 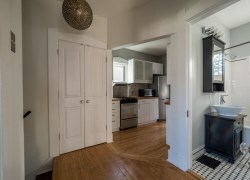 111 Haldeman Ave will be hosting an Open House TONIGHT! Friday May 11 from 4pm-6pm. 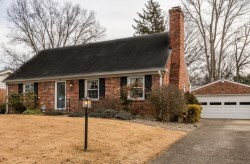 This beautifully updated, 4 bedroom, 2 bath home in Clifton is move-in ready! 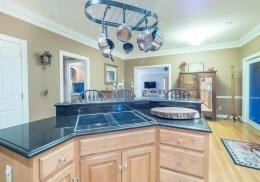 Please contact Emmy Kupper or Christy Dodds of Family Realty if you would like more information about this home. 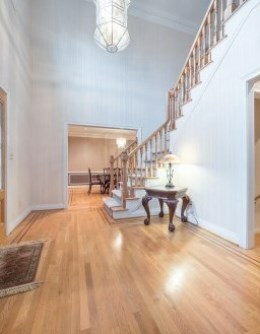 1305 Highland Ave is a stunning traditional style home in the Original Highlands. 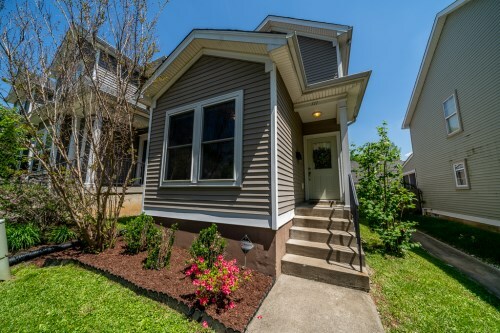 This 5 bedroom, 3 bath home features a gourmet kitchen, brand new third floor master suite, and a large backyard with new deck and OFF street parking! 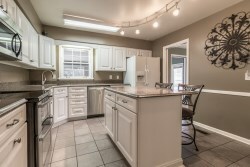 Open House will be Saturday May 12 12pm-2pm. If would like more information about this home please contact Christy Dodds or David Willemain of Family Realty. 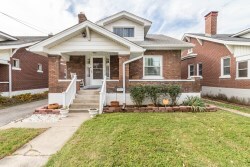 2744 Cleveland Blvd is a charming 3 bedroom, 2 bath two story on a large lot in Clifton Heights. 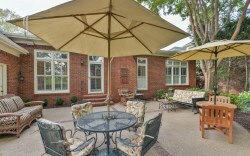 The covered patio is the perfect place to entertain family and friends while enjoying the large private backyard. 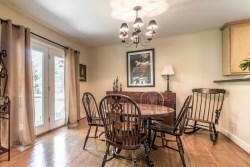 Open House will be Sunday May 13 2pm-4pm. If you would like more information on this home please contact Chris Dayton of Family Realty. I keep forgetting to take my jacket with me outside. I open the door and immediately I realize I’ve made a mistake. Temperatures are dropping as we approach the official beginning of winter on December 21st. Many of us are therefore spending more time thinking of how to stay warm. 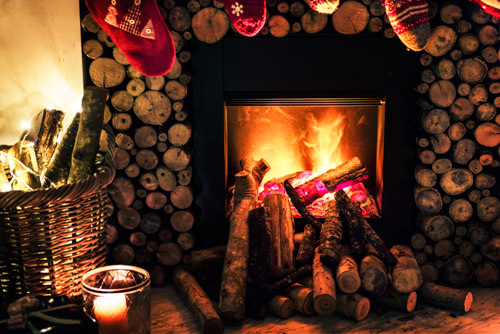 Should we light a gas fire, get a wood fire going, or do we just want to turn up the heat? Well we suggest that you stay close to real estate Louisville because it is still on fire. 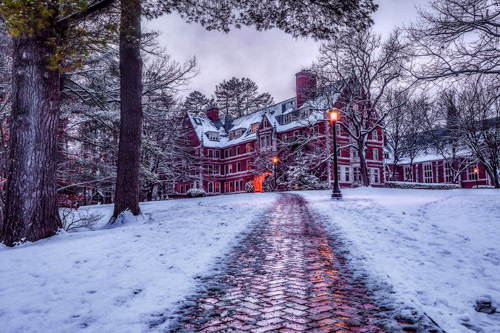 Winter is actually a really good time for buyers to buy a home. This is because sellers really need to sell them homes at this stage of the year. 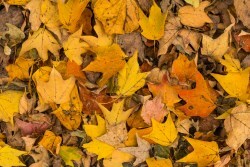 Therefore prices are usually more competitive in this season than at any other time. 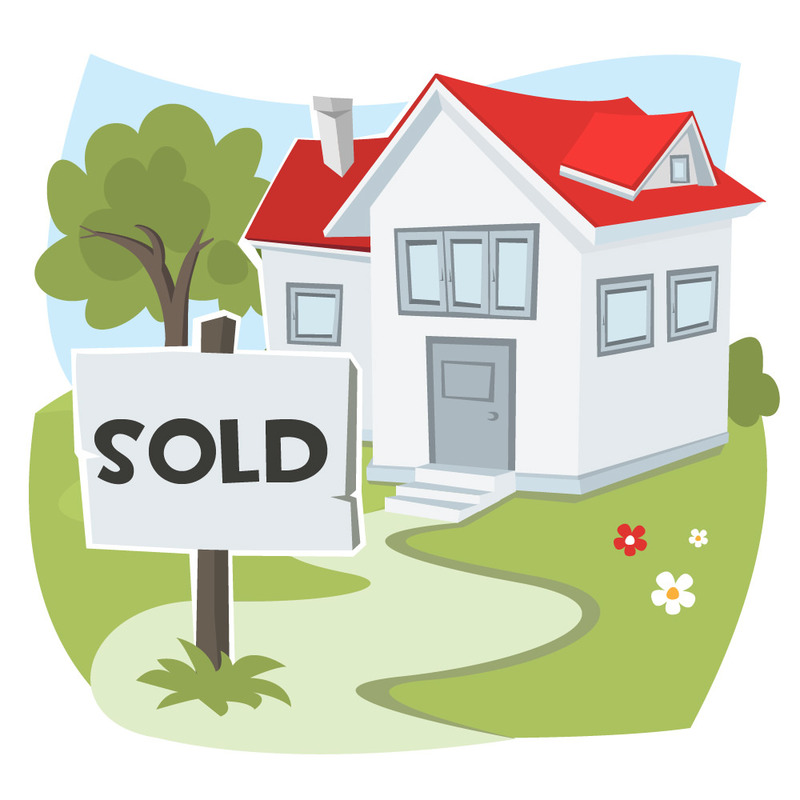 Here at Family Realty we have some great tools to help if you are considering buying a home. We have a great free buyers program which includes a team working for you, up to date emailed real estate listings, and much more. 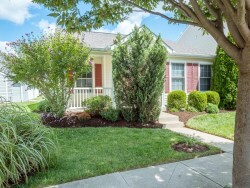 We also have an online mortgage calculator as well as the best online home search tool in Louisville which gives you superb and relevant information which you need in looking for houses. You can also sign up for Instant New Home alerts. We even wrote an easy how to sign up blog available here. So if you would like to reduce the chill and heat up your life with some real estate Louisville, please contact Scott Boehnlein of Family Realty. We have a team of people waiting to help you. 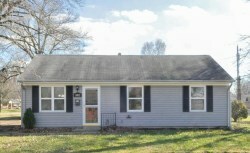 If you like an updated and move in ready home then we have a home in real estate Louisville just for you. 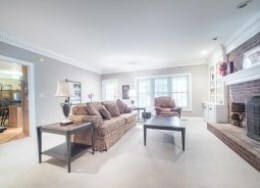 7035 Royal Links Dr is a 2 bedroom, 2 bathroom, 1,306 Sq Ft home in the cute Village at Wildwood subdivision. 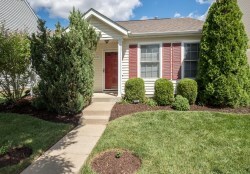 The neat landscaping around the front door gives you a foretaste of what lies inside. 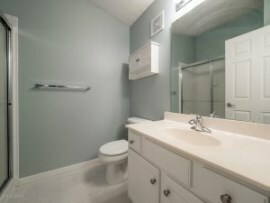 The new and updated features include new carpet in bedrooms updated this September, new tile in the en-suite master bath also updated this September, new flooring in living room and kitchen updated only last year, and upgraded inside doors updated two years ago. 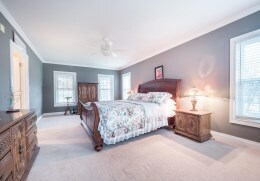 In this one story home both bedrooms have large walk in closets and the master bedroom has an en-suite bathroom. 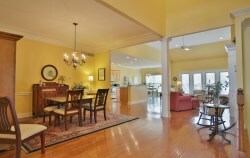 The open floor plan in the kitchen and living area gives the home an inviting feel and making entertaining a pleasure. 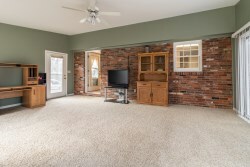 A two car garage and an extended outside patio are also great features of this home listed at $129,000. Jamie Klein, a dedicated member of our Family Realty team, would love to help you if this property piques your interest. 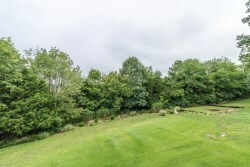 Many of the most highly sought after areas and neighborhoods in real estate Louisville are those close to Bardstown Rd in the Highlands. 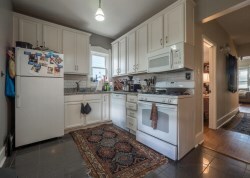 Well we at Family Realty have a great Highlands investment opportunity to show you. 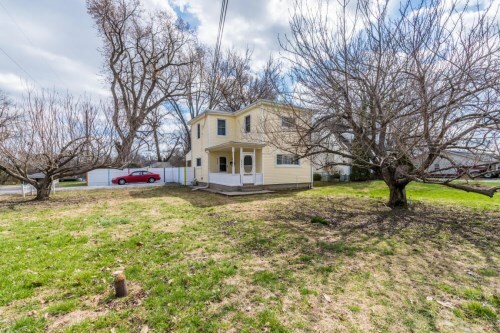 1846 Tyler Pkwy is a two unit rental property which could also be easily converted into a single-family unit if you prefer. 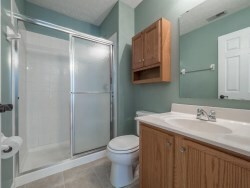 Both of the units have two bedrooms and one bathroom. 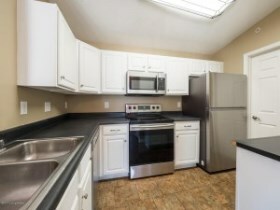 Unit two has an updated kitchen with stainless steal appliances and a butcher block counter top. 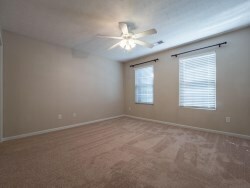 Tyle and hardwood floors extend throughout both units. 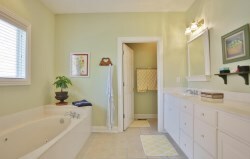 The bathrooms and bedrooms are tastefully designed. 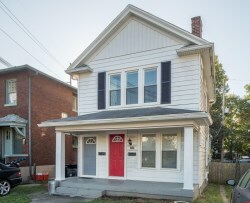 This property is only two doors off Bardstown Rd. This popular road is home to typically unique Louisville restaurants, coffee shops, stores and much more. 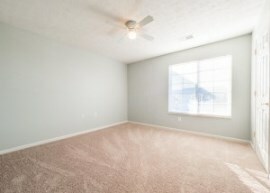 This property is in a good rental location. Unit1 currently rents for $1300 per month while unit two rents for $1200 per month. 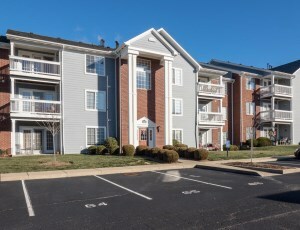 The property is currently managed by a property management company but when the seller previously self-managed the property, unit one rented for $1400 per month. 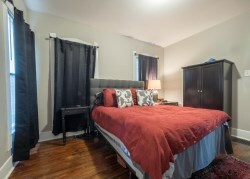 The seller also used Airbnb for the upstairs unit and charged $120 per night and more on holidays. If this property interests you please contact Scott Boehnlein of Family Realty. 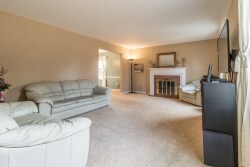 We would love to answer your questions or set up a time for you to view this property. Are you frustrated that whenever you find the home of your dreams someone has already made an offer on it? Do you wonder how they found the house so quickly and beat you to the offer? Well we have a solution to your problem: Instant New Home Alerts. This is a free and fast service we offer from our website. 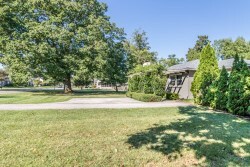 Quick knowledge of newly listed houses in real estate Louisville is essential considering how quickly houses sell most of the time. 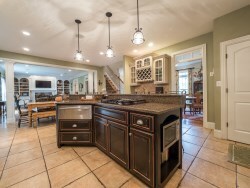 This year we have listed and sold several homes in under a week, some only in a couple days. Our Instant New Home Alerts send you an alert when new houses are listed. 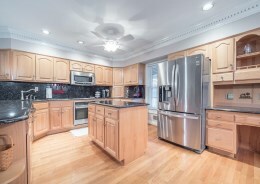 This service allows you to fully customize your alerts to the exact home you are looking for. This ensures you see only the houses that fill your dream home criteria, saving time and reducing stress. So to keep up to date with the real estate Louisville market we suggest you sign up for our Instant New Home Alerts. It’s an easy process which we’ll guide you through right now. First click the link here. If you are a “Returning User” login. If you are a “New User” click “Create Free Account”. Fill out this easy form and click “Create Free Account”. Once directed back to the “Welcome to Account Home” page, look for the section titled “Saved Searches”. In this section you’ll notice the blue “Add a New Search” icon, click that. Having been directed to the “Save Your Search” page you can choose whether you want to set up a search for “Greater Louisville” or the “Heart of KY”. Once selected simply fill out the form. 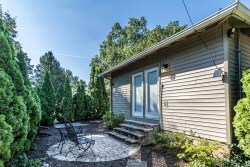 You can choose how often you want to be email alerted, what type of property type you are looking for, and even choose only to be sent homes with a hot tub outside. Once you have customized your search click “Save Search” at the bottom of the page and you’re done. We’ll keep you posted with Instant New Home Alerts perfectly tailored by you to meet your needs! 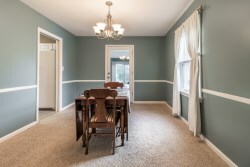 If you have any further questions please contact Scott Boehnlein or any of the other agents here at Family Realty. We would love to help you! 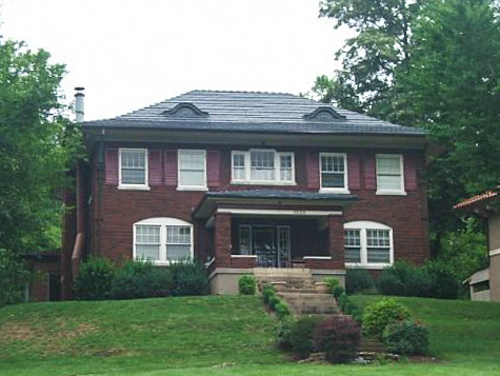 We have just reduced the price on a great shotgun style home in the Germantown area of real estate Louisville. 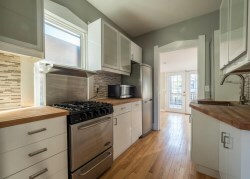 This home is fully renovated and therefore move-in ready. 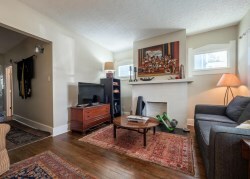 970 Samuel St is a 2 bedroom, 2 bathroom, home now listed at $165,000. 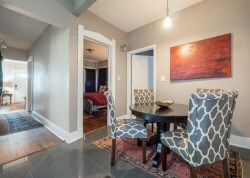 Being fully renovated there are plenty of updates. 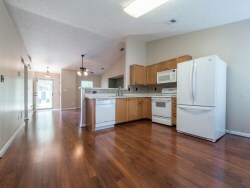 The kitchen includes all stainless steel appliances, butcher block counters, new tile floors, and a gas stove. 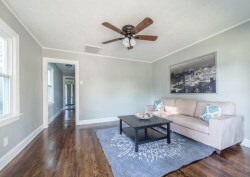 Refinished original hardwood floors are a must have for a lot of today’s buyers so it’s great to know that just such flooring stretches throughout the rest of the living space and one of the bedrooms. 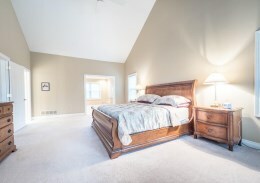 The master bedroom with en-suite bathroom is stylishly designed and decorated. The home also has hookups for a stacking washer/dryer. 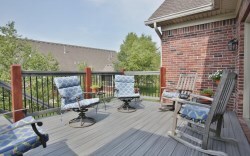 Off the back of the home there is a two tiered deck leading to a good sized of the yard with an out building/shop. If this home interests you contact Jamie Klein or Scott Boehnlein of Family Realty. The famous three words in real estate are location, location, location. 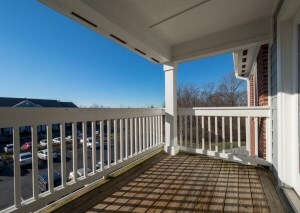 But there are another three words we would like to introduce to real estate Louisville, stunning, stunning, stunning! These six words definitely apply to 4050 Ormond Rd! 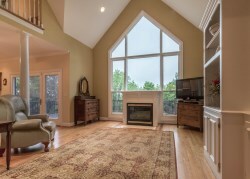 This home is located in superb St Matthews and, yes, is stunning, stunning, stunning! 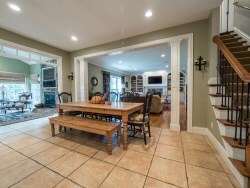 This beautiful brick home has 4 bedrooms, 4.5 bathroom, and is 5,059 Sq Ft. With many high-end upgrades, large rooms, and striking décor this home is perfectly priced at $750,000. 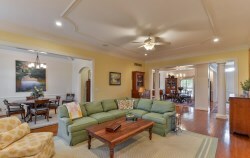 This home has a fantastic open lay out with the kitchen, formal dining, family, and Florida rooms. 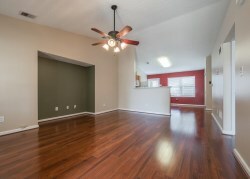 Hardwood floors run through most of the main level. 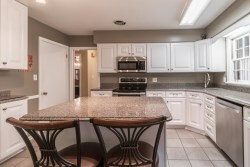 Custom cabinets, updated stainless steel appliances, granite counter tops, an island with breakfast bar, and a wet bar with beverage fridge are features of the kitchen. 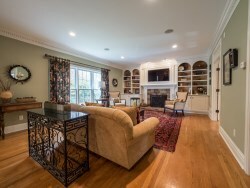 Both the Florida room and family room have fireplaces, perfect for warming yourself and family in this colder weather. 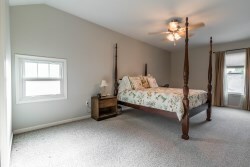 The master bedroom with two amazing walk-in closets, an attached sitting room and deluxe bathroom with two vanities, whirlpool tub, and a walk-in shower is found on the second level. Three bedrooms and two full bathrooms complete this level. 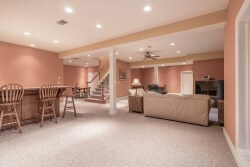 A finished basement is such a bonus entering the winter months. 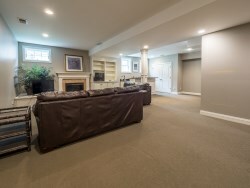 This home’s basement has a large great room which includes a lounging area, another fireplace, a bar, a rec area, and large storage area. 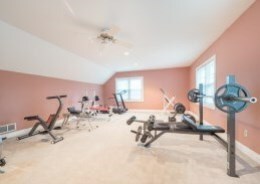 There is a full bathroom plus another multipurpose room. 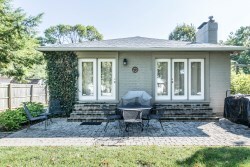 When the weather warms up the backyard will no doubt become a hub of activity as it has a patio and deck which can be accessed from the Florida room. 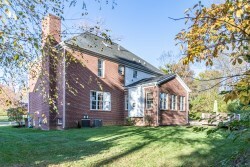 This home includes a laundry room and a 3 car garage. 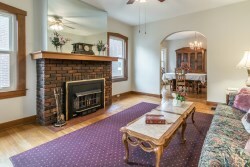 If you would like a personal showing today please contact Scott Boehnlein of Family Realty. Your house should be a place that you look forward coming home too. I mean you spend most of your life in it so you might as well love it. 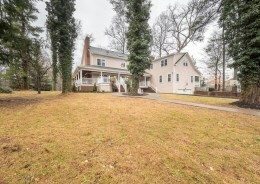 Well you will not have any problem looking forward to coming home if 4003 Elmwood Ave is your home. 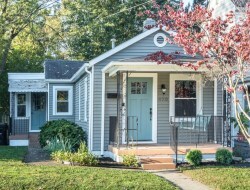 This charming home is a gem for real estate Louisville. 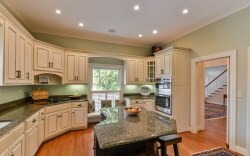 We have recently adjusted the price down on this beautiful St Matthews home. 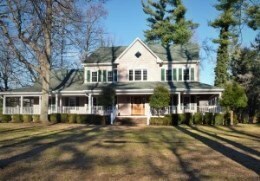 It sits on a large front yard with a play set and picturesque large tree. 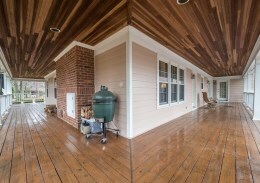 Greenery surrounds this home which is also sided by two great outdoor sitting areas. 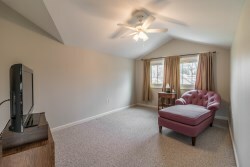 This ranch style home has a bright and airy interior with lots of natural light, fresh neutral paint, and hardwood floors. 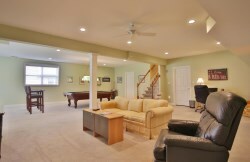 The living room has a fire place and large glass doors leading out to one of the side yard sitting areas. 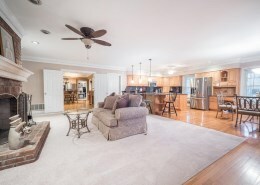 From the great room you can see into the formal dining area which sits alongside the kitchen seperated only by a breakfast bar. 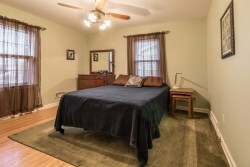 Down the hall you will find a good sized bedroom with large windows and a full bathroom. 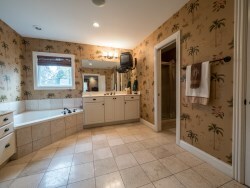 The master suite features a full ensuite bathroom and a walk-in closet. 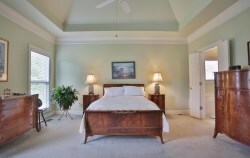 The master suite opens onto another one of the outside sitting areas surrounded by well manicured foliage. Perfect for a quiet and private Saturday morning cup of coffee. 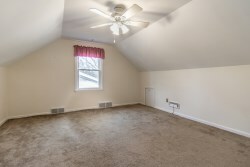 The basement has a finished great room with new carpet, plenty of storage, and laundry. 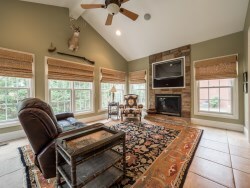 If you can imagine coming home to this home please contact Scott Boehnlein of Family Realty.